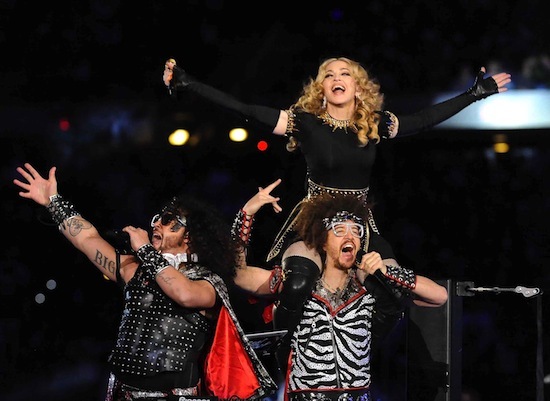 On July 17 2012, Madonna’s MDNA World Tour played at London’s Hyde Park, with supporting acts LMFAO and Martin Solveig. 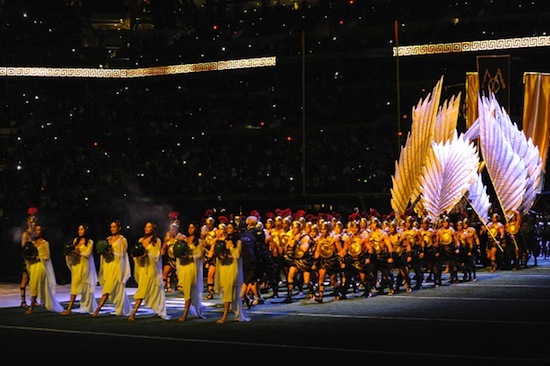 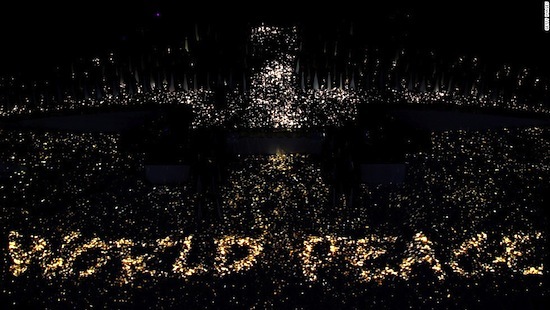 The sold-out show (54,140 fans) generated $6.7 million in ticket sales. 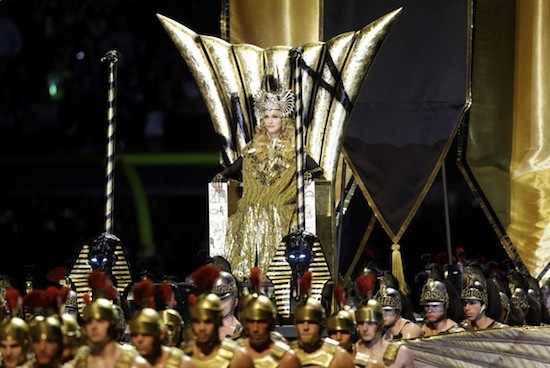 On February 5, 2012, Madonna performed the Super Bowl XLVI halftime show at the Lucas Oil Stadium in Indianapolis as part of Super Bowl XLVI. 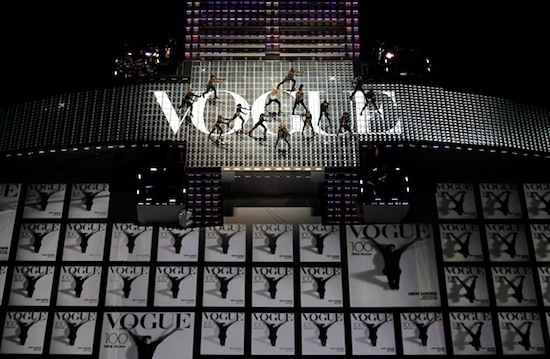 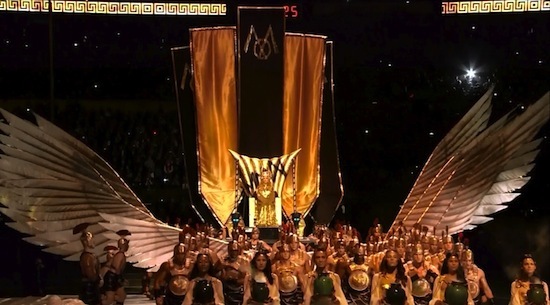 The performance featured Madonna with special guests LMFAO, Nicki Minaj, M.I.A. 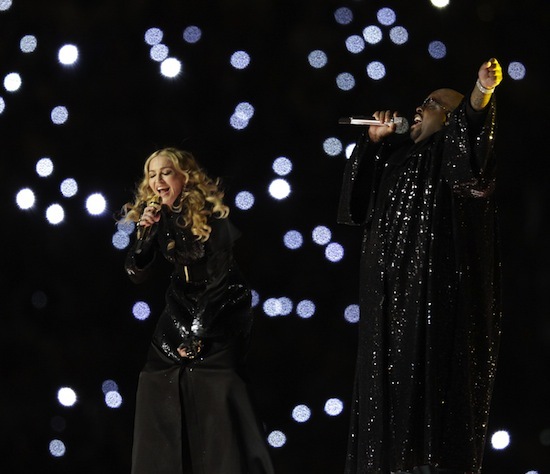 and Cee Lo Green. 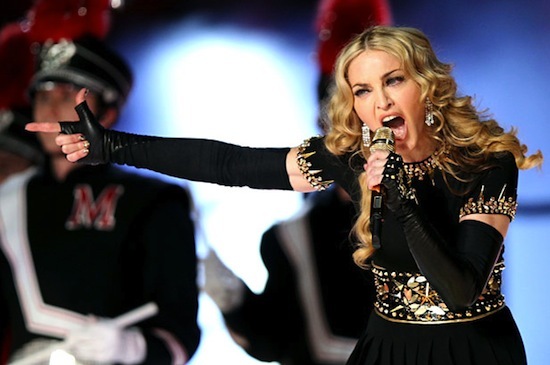 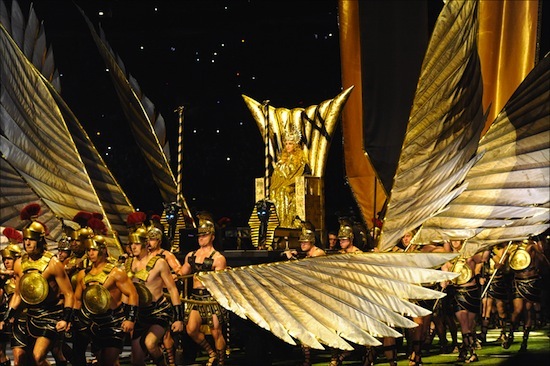 Madonna’s performance broke a record as the most-watched Super Bowl halftime show in history, garnering 114 million viewers. 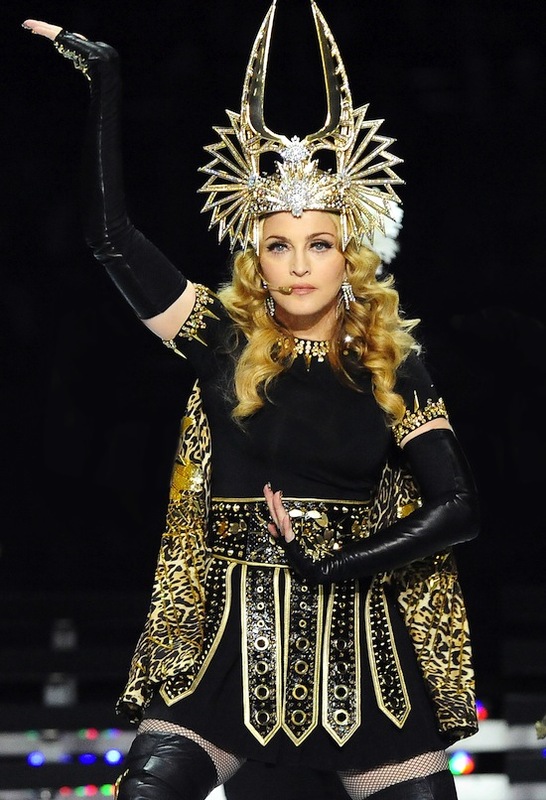 Madonna performed Vogue, Music, Give Me All Your Luvin’, Open Your Heart/Express Yourself and Like A Prayer.